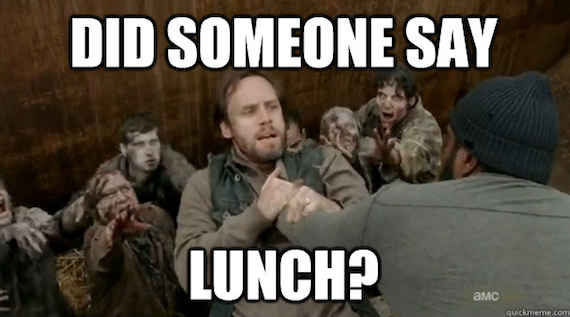 Note: Do not read on if you have not yet seen Season 3, Episode 14 of AMC's "The Walking Dead," titled "Prey." "Prey" begins with the first flashback opening we've seen in a long time and gives us a rare glimpse into Andrea and Michonne's mysterious time together in the woods between Seasons 2 and 3, appropriate considering Andrea has her former cohort's interests in mind for the rest of the episode. We've speculated before about Michonne's "pet" zombies (the ones who met their demise a few episodes back by way of her Katana) on whether or not she knew them personally or merely converted them for practical reasons. But for the first time, we hear the questions asked outright. Michonne answers coldly, "They deserve what they got," adding, "They weren't human to begin with." So perhaps her use of their armless, jawless bodies was a form of punishment. Speaking of punishment, the next thing we see is the present-day Governor preparing chains for a torture chamber, presumably for Michonne. And was it just me, or is the Governor totally getting off on the idea right before the opening credits? Andrea tries to leave, but Martinez asks for her weapons. The Governor comes over and he and Andrea have their last "feel-good" exchange as he tells her he wants her to be safe and she tells him she wants to help out with the prison "visit." At this point, the Governor has no idea that she will escape, and it isn't until Milton -- a.k.a. the world's worst liar -- gives it away that she knows about his plans for Michonne. Then tracking down Andrea by any means necessary becomes the Governor's number one priority. 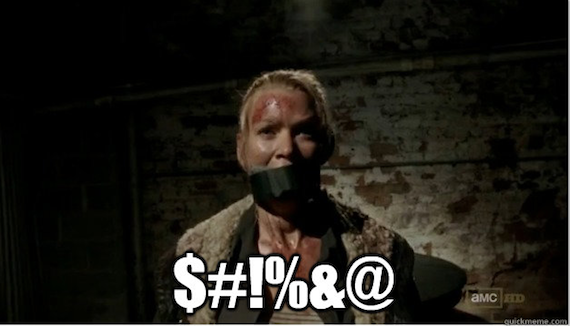 But let's get back to how Andrea actually escapes. This episode was entirely Woodbury-heavy, with only a glimpse of the prison at the end, but the Tyreese/Sasha/Allen/Ben subplot was given a large amount of screen time. We learn a little more about Tyreese and Sasha's personalities as they use walkers for target practice while standing guard on the perimeter wall. Andrea comes over to escape, at first by trying to deceive them and then leveling with them about the Governor's sinister side. They try to prevent her from escaping regardless of what she said, but Tyreese ends up letting her go, much to Sasha's chagrin (side note: The line, "What did you want me to do, shoot her?" really shouldn't sound as comical as it did). The next scene is pretty interesting, as we see Tyreese and Sasha go to tell on Andrea to the Governor. Tyreese asks, "This isn't a prison camp, is it?" and the Governor puts on his now-rarely seen political charm, telling them of Andrea's long winter in the woods and making her out to be a mentally unstable mess. He asks if Andrea said anything to them and they hold back. Smart, considering they aren't entirely sure whether to trust him. Meanwhile, Andrea runs down the highway on her way to the prison, but has to veer into the woods when she hears the Governor's truck coming. Here we see one of the best human vs. walker scenes we've had in a while, with Andrea using a tiny knife to ward off three of them who have her pinned to a tree. (Did anyone else also notice that exasperated, "OK!" she let out when walking away? Hilarious.) Soon she finds herself in the middle of a field when BAM! She hears the Governor barrelling toward her in his truck. It seems as though he definitely could have run her down, but instead, he starts a cat-and-mouse game that lasts nearly the rest of the episode. Inside what appeared to be a barn or slaughter house, he follows her slowly and menacingly, first superficially pleading with her to come back and finally letting out his rage with a shovel on some windows. Andrea avoids him by opening up a stairwell full of walkers and hiding behind the door, leaving him for dead (we think) and continuing to make her escape to the prison. But back to Andrea: She makes it to the prison outskirts and we hear a comforting "home sweet home" kind of song start playing as she's about to call out to Rick, but what! The Governor jumps her from behind. Rick peers down his scope in their direction and it almost looks as though he could see/diffuse the situation, but he's merely keeping watch. Back at Woodbury, the Governor pulls up, bloodied from his scuffle with Andrea, and says he wasn't able to find her. Martinez tells him about finding the biter pits all burned up and notes that they have a few troublemakers in the group, meaning Tyrese and Sasha. The Governor confronts them about it indirectly, telling Tyreese and Sasha the same lie that Milton told Andre earlier: The biters are just a scare tactic. Tyreese levels with the Governor, saying they want to stay at Woodbury and that he "saw red." He was apologizing for fighting with Allen, but the Governor thinks he's talking about the biter pits. After a follow-up question about gasoline, however, he quickly realizes Tyreese doesn't know what he's confessing to. 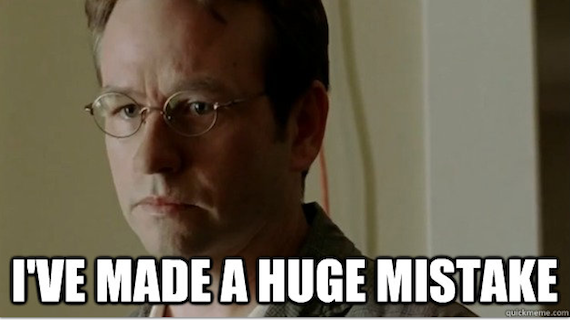 Outside, The Governor has another awkward encounter with Milton after it becomes obvious that he burned the biter pits. How long are these two going to play the "I know that you know" game? With just two episodes left to go in this season, I have quite a few questions. Is the Governor going to torture Andrea or does he still just want Michonne? Will Tyreese and Sasha figure out they're on the dark side in time to help the others? Will Milton become a martyr? Let me know your predictions for the big upcoming showdown in the comments. Check out my chat about "Prey" with Slate's Chris Kirk in "The Walking Dead" TV Club.